Full moons are a time of manifestation and progress towards our goals. 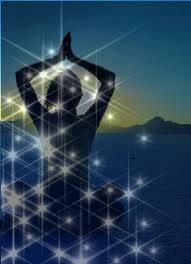 Spiritual energy intensifies and soul energy comes to life. The 22 Feb (22-2) was the day in 2015 that I departed the UK to return to African soil for this part of my journey. The number 22 holds special significace for me as it was the number communicated in a number of ways by my 'diamond dog', my beautiful Millie. The 22nd card in the tarot is the 'The World' which has many meanings, including completion, things coming to fruition, happiness, achievement etc. In numerology, the 22 is also associated with Grace, new foundations, the number of the master builder. 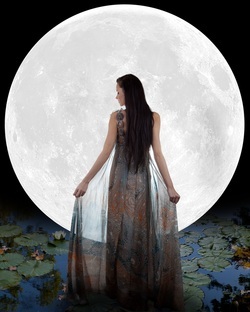 This special full moon potentises our opportunity to build on the presence and strength of the Feminine Soul, so needed to restore global balance and support the continued awakening of our world. It builds up on our prior gathering where we connected with the Great Mother as the archetypal and overarching femiine essence that runs through our very being. In this gathering, we will focus on igniting the power of the White Fire from our collective ancestral feminine heritage in our mitochondrial DNA. As the literal 'powerhouses' of our cells, this aspect of our DNA provides the fuel for greater shifts within our biology and our inner alchemical processes. The White Fire is synonymous with Diamond consciousness, a flame that reflects all colours in such perfect balance that they merge into a dazzling and brilliant light. Join us for this Divine Full Moon journey as we call forth that which is already within us and give greater expression to the feminine soul. FREE GIFT : All who register with the full payment will also receive 2 very special mp3 recordings of the Diamond Singing Bowl. These recordings hold a powerful resonance that will add the energy of the Diamond Master Healing frequencies to your meditative or healing practice!